Mixxx: get your Djing kicks for free. 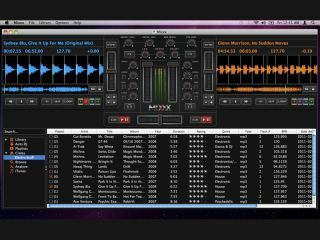 Mixxx is an open-source DJing app that's been bubbling under for a while now, but it's just come to the attention of a much wider audience thanks to its release on the Mac App Store. In fact, in several territories it's hit the number one spot in the free apps category. - Headphone cueing with any external USB soundcard! It's worth noting that Mixxx is also available for both Windows and Linux, while versions for older Macs are still being offered outside of the App Store too. Go to the Mixxx Downloads page for more.